NEW PRICE ~ $4K BELOW RECENT APPRAISAL!! Cozy enclave w/just 15 units tucked in off the beaten path. 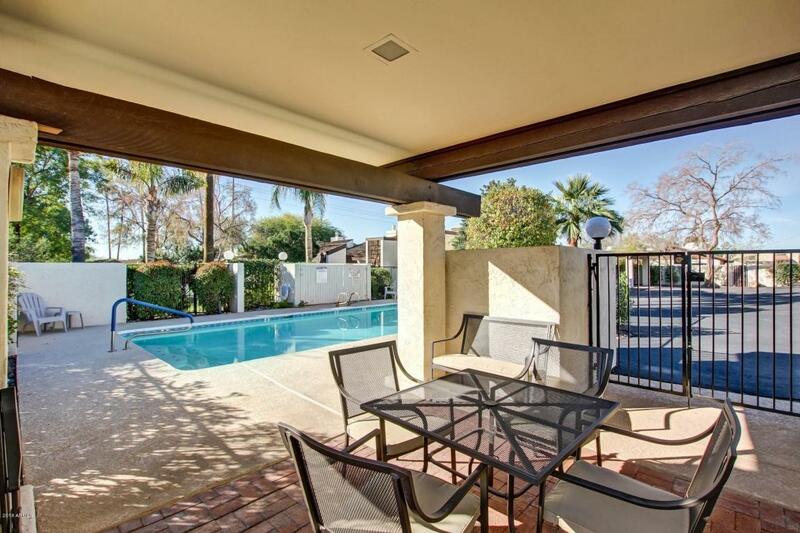 Freshly remodeled condo in a highly sought after area of N Phx. 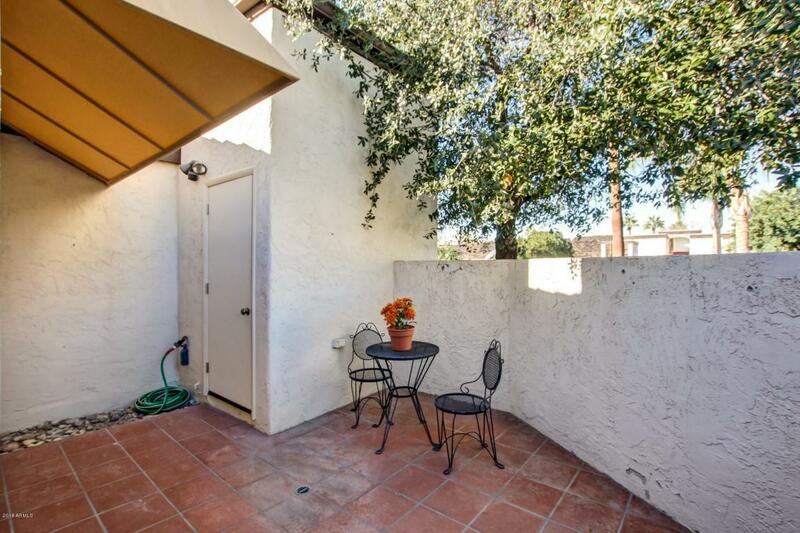 Shady private courtyard takes you in under vaulted entry. Spacious dining area is light & bright w/vibrant skylight shared w/posh sunken living room. New carpet, new paint thruout. 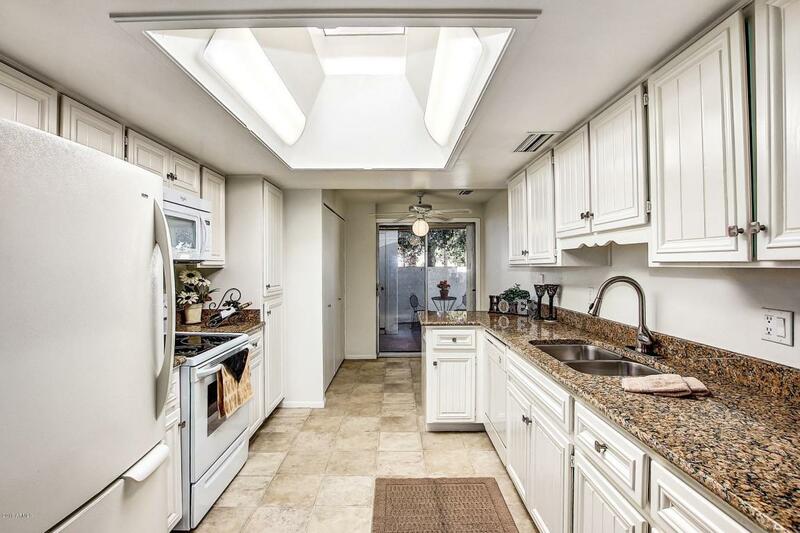 Fabulous kitchen has new granite, new light & plumbing fixtures plus newer appliances. Quaint eat in kitchen area flanks the inside laundry closet. W/D Fridge included. Sizable master is sunny & inviting with French doors to rear patio, dbl sinks, walkin closet, full tub/shower & cool retro interior atrium. 2nd BR has builtin shelves & exit to front patio. Lots of character here. 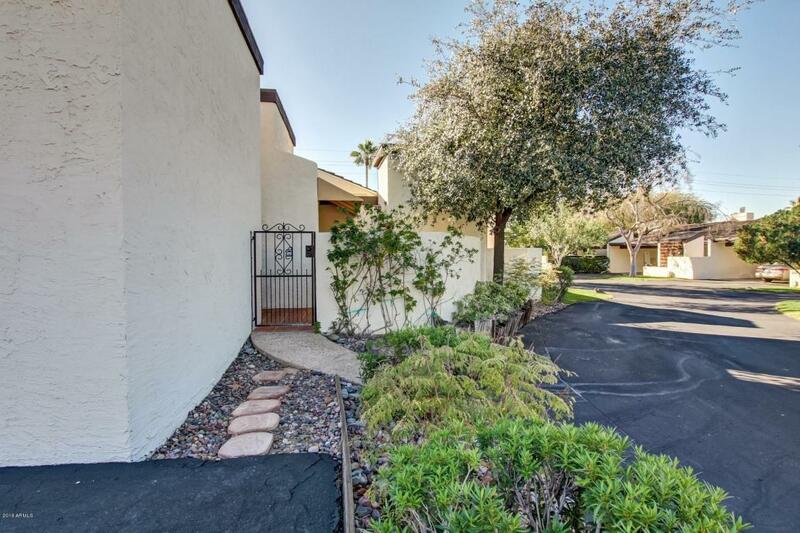 Great complex close to SR51, bike paths, trendy restaurants & more! !